What’s the worst career advice you’ve ever received? Maybe it was well meaning poor advice, rather than deliberately poor advice, yet poor advice none the less. My biggest bug bear is the advice frequently doled out without much thought at women in leadership conferences. Not only is this misguided, but it’s incredibly poor advice for those who have been socialised to lean towards the conscientious and the compliant. But there should be more times when strategic, smart and savvy would be better served. In a modern, globalised, digitised world that’s complex, nuanced and ambiguous, working smarter will suit you far better. After all we’ve been working “hard” at gender diversity for years. It's time to work far smarter instead! Now that I have your attention - last night I participated in the Vinnies CEO Sleepout. 150+ business leaders sleeping it rough for the night to raise awareness and money to help break the cycle of poverty and homelessness. Yes, you guessed it! We raised $800K in Melbourne alone. Thanks to everyone who donated so far. We imagine we live in the lucky country - but do we really? When so many people are doing it tough? Unless we make substantive changes, maybe we need to rethink our branding. Lucky for some, unlucky for many. Women are particularly vulnerable. Not only are women more likely to retire under the poverty line, but are frequently the victims of domestic violence, which also can lead to homelessness. They are the hidden majority unfortunately. Where are you your own worst enemy? Who said leading was comfortable anyway? What a great evening in #Melbourne on 14 June. 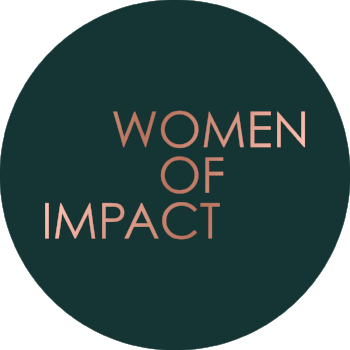 Thanks also to Mary Anne Waldren for sharing her insights at Work Club for my Women of Impact program. "Being nice means being true to yourself and the situation by setting appropriate boundaries without aggression, anger, hatred or resentment. It’s about being strong and steadfast in your convictions whilst opening your heart to show kindness, compassion and gentleness towards others." >> Your thoughts? Can we keep it nice and still lead effectively? Leading while being female can be joyous, exciting, challenging, hard work and plain awful all in one. Add into the mix that female leaders are still thin on the ground so those who do lead are highly visible and under intense scrutiny - ergo highly vulnerable. One woman appears to mis-step and all women are criticised everywhere. What a burden! No-one said it would be easy, and they were right. However for many, once you get past a few of the hurdles, there is no other choice. Leadership is the only viable option. How we lead is another story. Historically women have embraced, and been rewarded for, more masculine traits in order to fit in and be successful. You know - big hair, big shoulder pads, go hard or go home - assertive, competitive and/or combative. This not only doesn’t work any more, but society and business miss out on the various benefits that diversity of leadership styles bring. In the early 2000s Lois Frankel wrote a book called Nice Girls Don’t Get the Corner Office. It was a page turner. I read it cover to cover and bought the CD set to listen to in my car. The inference is that you can’t lead and be liked at the same time. But is that true anymore? Last week, Hillary Rodham Clinton in conversation with our former Prime Minister, Julia Gillard, at the Melbourne Convention Centre, provided some interesting reflections on the topic of likability - and let's face it, if there were ever two women who have been harrangued for not being liked it's these two. - Instead, women run the risk of labelled by men and women alike as whiney, witchy and worthless when they challenge the status quo and dabble in anything other than women's arenas - all labels low on the likability scale. And that's a double standard if I ever heard of one. To paraphrase Lieutenant General David Lindsay Morrison AO - "the double standards we walk past are the double standards we accept". One thing needs to change. And that's the personal criticisms of leading women that we all engage in. When women challenge the status quo, their differentness and femaleness is critiqued, rather than their performance in the role. Let's stop with the witchy, whiney and worthless labels. Stick to the facts instead. And maybe replace with those labels with wise, world class and wonderful! Thanks to two wise, world class and wonderful women who inspired this blog - Hillary Rodham Clinton and Julia Gillard. Special mention also goes to Annabel Crabb for her superb emcee performance. It was an inspiring evening and I trust that talented younger women are now seeing a leadership pathway as a viable option to aspire to, rather than something to be avoided. 1. Live/work in Melbourne? Join us for an event on 14 June - Nice Girls Can Get the Corner Office with Mary Anne Waldren and myself as we explore the issue of likability as an asset in your career toolkit. Mary Anne has made a career out of likability and getting on with people. I'll be asking her how. Register now. Places limited. 2. Have your say on likability and leading while female on LinkedIn - here's my recent post with a snippet from Hillary's opening speech. Is it possible to be a likable leader? 3. Want to shift your personal brand from feeling worthless to world class? Why not book in a 30 min one on one phone call to learn more. 1st in best dressed rules apply. Take charge of the narrative before it takes charge of you! Self promotion can be tough for executive women. We're damned if we do, yet doomed if we don't. Research tells us that most of us aren't especially comfortable with it, and even when we get it right there's likely to be someone in the wings ready to cut us down to size - too loud, too quiet, too nice, too assertive, too lucky, tries too hard, too ambitious, not ambitious enough, too ....everything. Unfortunately, the social penalty for getting it wrong is even worse and can make you wonder if it's worth doing at all which then leads to a lack of confidence and hesitation about tactics that really work. All is not lost. Self promotion tactics and Executive Branding are all under the microscope during the month of May. And if you're at all curious about working with me these events are a must. BY INVITATION ONLY - limited to 12 places - and you're invited. Book in via the links. Yes these events sell out fast. So email to be put on a wait list for future events and keep your eye on the events page on my website. 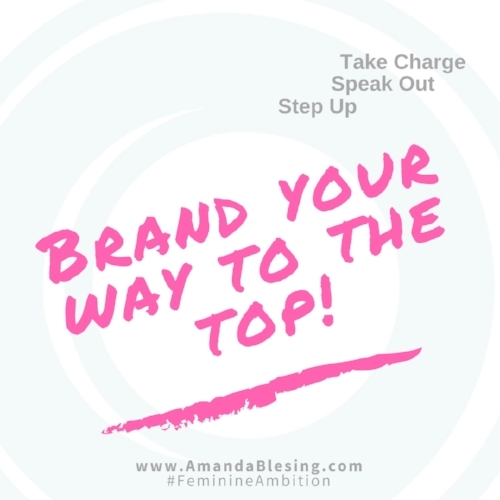 Presence, Positioning & Personal Brand - take charge of the narrative before it takes charge of you! What can Executive Women Learn from the Cult of Celebrity and the "Celebrity CEO"? Cult of celebrity and the rise of the celebrity CEO - what can we learn? Executive branding has become a thing! Modern, forward thinking, entrepreneurial CEOs and execs are creating huge followings online and it's delivering business outcomes. My question to you then is - is this simply smoke and mirrors? Or is it a legit part of the executive branding toolkit? If you are like many people, the thought of heading out to networking events gives you the heebie jeebies. It's far easier to find great reasons not to go! "I've got too much work"
"I need to pick up the kids"
"I don't drink and networking events always involve alcohol"
"I just stand in the corner and feel stupid anyway"
"I've been to lots of women's only functions but the quality of the networking is not at the right level for my career"
I hear you. Finding the right time, the right place, the right audience and the right network can be challenging. Research tells us that those who have great networks are the ones getting ahead far easier. Tripled your chances of receiving a raise of 10% or more. I personally also recommend mixed gender networking events in the mix, because as someone who has hosted more conferences that most people have had hot dinners, I've witnessed heaps of manoeuvring, partnership creation and opportunities opening up for attendees who got out of their comfort zone and networked. Bold, hairy, audacious moves to the rescue! Just last week, HBR published an article that stated that CEOs with diverse networks create higher firm value. Yes that's right. Diverse networks - breadth, not necessarily depth. Put that together with what is already well known - that "firms with better-connected CEOs can obtain cheaper financing, and firms with well-connected board directors see better performance"and you begin to see that networking is not just great for you and your career, it's also great for the divisions you lead and the organisations you work for. At one end of the networking spectrum there is Nigella No-friends. She's busy. Give Nigella something to do, and she does it. Well! Nigella is incredibly conscientious, diligent, works hard, and pushes the proverbial uphill. She is reliable and available - and doesn't have time or energy to invest in strategic networking. Then at the other end of the spectrum is Garry (name changed to protect the innocent). Now Garry is the CFO of an ASX listed organisation and I affectionately name him Gantt Chart Garry. Because he takes the notion of strategic networking to a whole next level by running a Gantt Chart on his professional networking activity. Not only does he schedule his activity over several years but he also ranks his network on their net worth, how helpful they have been, and tracking where and when he last saw them, what was discussed and how helpful they may be in the future. And yes, he is incredibly successful in his career. And if the research on the value of strategic networking is true, then he is also incredibly valuable in the C-suite of the organisations he works for. This approach helps him deliver better results. Now I'm not saying for a minute that we all need to go out and set up a CRM or Gantt Chart for our networking strategy. There's probably not a lot of room in that approach for emotional intelligence, intuition and ad hoc encounters. But somewhere in between Nigella and Garry, there is a strategy or plan that's right for you. A sweet spot that enables you to balance a heavy workload, family obligations, your career and leadership aspirations along with your discomfort with networking. And ... that's why I love LinkedIn so much. But that's a story for another day! ► So what helpful tactics have you found to get out of your comfort zone help you network more effectively? ► Drop me an email and let me know what works for you. Because your ideas might be just the thing that help someone else springboard more effectively in the future! Are Women's Conferences Worth It? I didn’t know how to express my opinion on LinkedIn. When I found my sense of purpose ..... something surprising happened. The more of an authentic position I took, the more my posts resonated, the more my clients and readers messaged me and …. the easier it all became. I realised that you don’t need to be right, to be the funniest or the best to express your opinion. But you do need to be able to articulate your position. Not simply regurgitate the opinion of others. One of the most powerful opportunities for busy executives is to brand themselves via LinkedIn. To help you stand out in a crowd and to ensure you are memorable even when you are head down backside up solving complex business problems. Then let go of busy, right and perfect … and give yourself permission to have your say. >> Your thoughts? What’s helped you to express your opinion more confidently in meetings, on LinkedIn or other platforms? whether we want one or not. But most of us don’t realise we have the right, skills or authority to do something about it! "no-one cares as much about your career as you do, so do something about it." So it's up to you now. Take charge of your career narrative, before it takes charge of you! Dress for the job you want, not the job you have - even on casual Friday! Because internal promotions rarely happen as the result of an interview - despite what you imagine. In a world that is increasingly focused on appearance and personal branding, your image counts just as much as your impact. Trivial maybe, but true for many. Dressing professionally, and well, indicates that you take yourself and your career seriously. It demonstrates respect for each of your work environment, your craft or expertise, the people you work with and yourself. It shows that you are professional and that you value your own contribution. Does this mean wearing exclusive labels to work every day? But it does mean elevating your standards so your future aspirations and your current self more easily intersect. My big word for the year is IMPACT. As such, this blog is part of my 'client branding series' designed to give clients an extra advantage. The article in the link below is particularly useful if you want to proactively, strategically and deliberately promote your Executive Brand via LinkedIn. And the Gold Standard of Executive Branded is definitely deliberate, proactive and strategic - along with being future focused. More on that below. The average CEO has 930 connections on LinkedIn. A well connected, future focused, socially apt C-suite executive has many more. And given that social persuasion, social influencing and personal brand are now defined as new areas of leadership expertise, being perceived as well connected will imply some level of competency. However, bigger is not always useful if your engagement level is low (i.e. no-one engages with what you share). But at a cursory glance, it's one of those 'social proof' metrics - 'You have lots of connections ergo you must know what you are talking about'. And you never get a second chance to make a first impression. According to Stephane Kasriel, CEO, Upwork, and co-chair of the World Economic Forum, Council on the Future of Work, Gender and Education, the majority of work in the future will be freelance. Portfolio type careers will be the norm. Almost 50% of millennials are now freelancing anyway and some of the biggest companies are seeing this as a great opportunity to attract talent. back yourself, sell yourself and articulate your expertise in language that employers/hirers value and understand. learn to stand out in a competitive marketplace, for all the right reasons. let go of hiding your light under a bushel and expecting others to tap you on the shoulder. And executive branding and LinkedIn can help you do just that. LinkedIn is going hammer and tongs with updates at the moment. The forums are awash with algorithm changes, technical glitches and more. This is not the first time, nor will it be the last time. Change is inevitable and the pace is likely to become even more rapid. At time of writing there are issues with invitations, changes to the way posts are assessed and buggy issues with messaging. Where this is likely to impact you is in creating engagement with your shares. So if engagement rates do drop don't give up. Keep investigating, tweaking and adjusting to work out a repeatable plan that helps you position yourself, engage with others, showcase your thought leadership so you stand out from the crowd more easily. Here is a link to my latest advice for clients on LinkedIn. The insights came from a small group who attended my January 2018 LinkedIn Mastery Workshop. CURIOUS ABOUT FUTURE LINKEDIN MASTERY WORKSHOPS? I ran a LinkedIn Mastery workshop in January 2018 in Melbourne for a group of consultants to help them get more bang for their buck when self promoting and marketing on LinkedIn. I now have a waiting list for others interested in attending a workshop in each of Sydney and Brisbane. Another workshop in Melbourne is also in the pipeline. feel like they are hitting their head against a brick wall, because "nothing works anymore!" If you would like to be added to the list, drop me an email with your contact details and location. Let's create a movement, not a ripple!